John Mayall, Pete Molinari, BB King & Tracy Chapman, Jim Mullen, Kyle Eastwood and more. This show was 1st in the global blues chart and 19th in the global jazz chart. 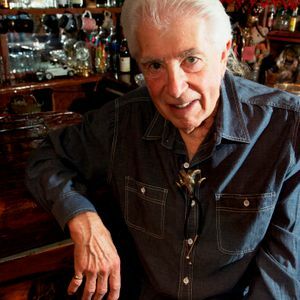 This week Ronnie Scott&apos;s has got the blues with an exclusive backstage interview with legendary British Bluesbreaker John Mayall, after he celebrated his 80th birthday with a one off performance live at the club. Music and news comes from far and wide, from the Mississippi music of BB King to the Shropshire sounds of Ally Kemp, plus live Ronnie Scott&apos;s recordings from Victor Brox and Fletch&apos;s Brew, and new music from Curtis Stigers.